I’ve been drinking more tea, as of late. There’s something so calming about a mug of Sleepytime as I’m winding down for the night and I love the little kick that the vanilla chai will give me in the morning. As I brew and steep my teas in my mugs, you know what I’ve noticed? Those icky tea stains that permeate into the sides of the mug. I shudder to think what types of tea stains might be trying to permeate my tooth enamel. The REACH® by Design™ limited-edition collection brings together style, vibrancy and oral hygiene, providing an innovative brush to accommodate your glamorous and healthy lifestyle. Formulated with new CaCO3 MICRAWHITENING™ technology, REACH® Total Care + Whitening toothbrushes and floss are purposefully designed for superior plaque removal and whitening. If you want whiter teeth and you want them fast, try a product from the REMBRANDT fast whitening collection. These products contain the same enamel-safe ingredients that dentists use, so you can get the brighter, whiter smile you want in as little as 2 hours! You may recall that we had the opportunity to review REACH and REMBRANDT products last year, where they proved to noticeably and easily clean and whiten our testers’ teeth. This time I had the opportunity to personally try REMBRANDT FORM-FIT Whitening Strips. I haven’t used a tooth whitening product like this in many, many moons, so I was excited to brighten up my smile a bit. The REMBRANDT FORM-FIT Whitening Strips were very easy to use. The kit comes with 7 upper and 7 lower strips. The strips themselves seem to be wax-based, with one side a smooth wax and the other side a slightly gooey and sticky gel that goes up against your teeth. 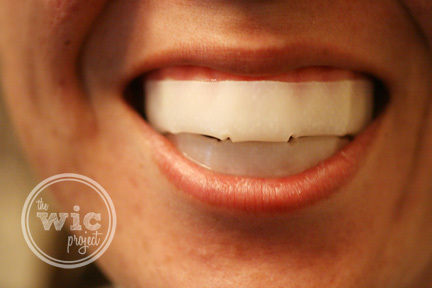 The strips have little tabs that you can fold underneath the teeth to help keep them in place. To get whiter teeth you simply “install” the strips onto your teeth (making sure to align to the top/bottom of your teeth) and then keep the strips on for 30 minutes. I made sure to push the strips into every crack between my teeth to ensure full tooth whitening coverage. Remember, no eating or drinking during the tooth whitening process! Here are the before and after shots. Admittedly, the results are much more obvious in person (I need to work on my lighting for photos.) 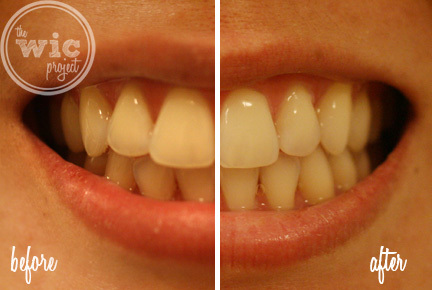 In fact, after the first application, my teeth were noticeably whiter – not just by me, but by others as well! I am 100% happy with the results of REMBRANDT FORM-FIT Whitening Strips. But having whiter teeth is more than just using a tooth whitening product ever 6 months. You also want to practice good oral hygiene by brushing and flossing. For brushing, I’ve been using REMBRANDT Intense Stain toothpaste – a wonderfully minty toothpaste that helps to scrub away stains while keeping my breath fresh and mouth clean. I like knowing that using this toothpaste will help keep my newly whitened teeth whiter for even longer. Before we close, I want to talk about REACH® Total Care + Whitening Dental Floss. Now I’ve had the opportunity to try a lot of different types of dental flosses. There are a few things about REACH® Total Care + Whitening Floss that really stand out for me. First, this is the only dental floss I’ve come across that is targeted to help with tooth whitening in addition to plaque removal. It has a pleasant minty flavor that reminds me of the baking soda taste that is sometimes used in tooth whitening products. Next, this dental floss has “Micro-Grooves” technology which helps to grab more plaque. But what was amazing to me was how it felt when I flossed with REACH® Total Care + Whitening Floss. While other flosses glide up and down the sides of your teeth, REACH® Total Care + Whitening Floss actually felt like it was scrubbing the sides of my teeth. I noticed the groves and it made me think that the floss was working doubly hard to scrub away the plaque between my teeth. I love it! For tea drinkers, coffee drinkers, or for people who are looking for affordable and effective toothwhitening, REACH and REMBRANDT are cost-effective tooth whitening products that will actually get your teeth noticeably whiter. They offer all the products you need to obtain and maintain healthier, whiter teeth. All of the products mentioned in this post are available in food and drug stores nationwide. Two winners will receive an amazing tooth whitening product kit which includes a REACH by Design toothbrush, REACH Total Care + Whitening Floss, REMBRANDT Whitening Strips, a REMBRANDT 2 Hour Whitening Kit and REMBRANDT Intense Stain Toothpaste! 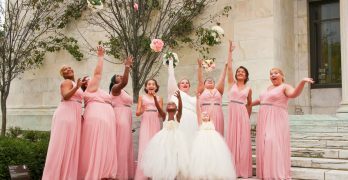 Visit www.reachbrand.com and www.rembrandt.com. Then come back here and leave a comment with the product you want to try the most. For ONE bonus entry, follow The WiC Project on Twitter and leave a comment with your Twitter handle or “Like” The WiC Project on Facebook and leave a comment with your FB name. Feel free to drop a note telling us hello! For ONE more bonus entry, subscribe to The WiC Project via reader or via email. Leave a comment letting me know that you have. Giveaway ends at 11:59 PM EST, April 15, 2011. I think I’d most want to try the Rembrandt Form Fit whitening strips. I would really like tje touthbrush from reach and the rembrandt toothpaste. I LOVE WIC(Walking In Christ)! I like the crystal clean toothbrush. I would like to try the Reach Total Care floss and Rembrandt Peroxide & Mint toothpaste. I’d love to try the REMBRANDT 2 Hour Whitening Kit. Thank you for the chance to win! I would like to try the REMBRANDT® 2 Hour Whitening Kit the most. 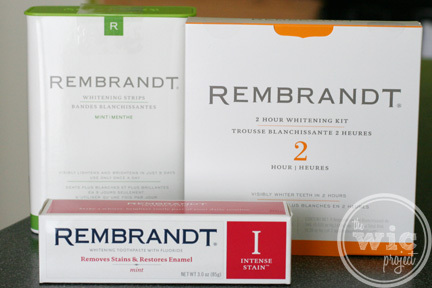 I’d like to try the REMBRANDT® 2 Hour Whitening Kit the most! I have no patience so the quicker it gets the job done, the better 🙂 Thanks so much for the chance! 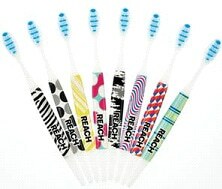 I would love to try the Reach Total Care multi-action toothbrush. I would like to try the Rembrandt 2 Hour whiteneing kit. From the Reachbrand.com website I’d like to try their Total Care floss, while from Rembrandt I would like to try the REMBRANDT® DEEPLY WHITE™ + Peroxide Whitening Mouthwash. Thank you for hosting this giveaway. 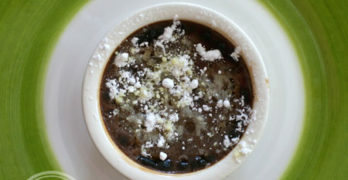 I “like” Wic Project on Facebook (catalina khalaj). I subscribed to your blog via Google Reader (subscriber 148). 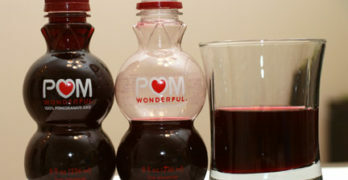 Like to try the mouthwash.. I would love to try the REMBRANDT® DEEPLY WHITE™ + Peroxide Whitening Mouthwash because I have never tried a mouthwash that also had whitening! I’d really like to try the whitening products. I would love to try the 2 hour whitening kit the most! I would most like the Intense Stain Toothpaste for my coffee stains. I would like to try this: REACH Advanced Design. I get your newsletter via this email. I’d like to try the Rembrandt 5 day whitening kit. I’m now following you on GFC. I’d like to try the Reach Total Care floss and the Rembrandt two hour whitening kit. I want to try the Whitening Strips the most! I’d like to try the Reach total care floss with whitening. REACH Total Care + Whitening Floss. The floss I use now tastes gross. The Deeply White Peroxide Fresh Mint Toothpaste from Rembrandt looks awesome! Already like you on Twitter-dresdenrain. I subscribed by email. Like what your name stands for. I would love to try REMBRANDT® DEEPLY WHITE™ + Peroxide Fresh Mint Toothpaste.